Once again, lobbyists and advocates for the hospital and insurance industry are attempting to convince the Maryland state legislature to pass legislation establishing a “No-Fault Birth Injury Fund,” which would strip away the rights of infants injured at birth and their families to sue for medical malpractice. 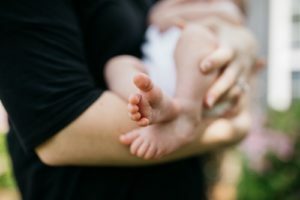 In lieu of a lawsuit, said infants and families would have access to a fund that hospitals and providers pay into which provides compensation to those infants with a “birth-related neurological injury” regardless of whether the injury was caused by negligence. The idea of this fund has been raised no less than ten times before and has been struck down by the Maryland legislature every time. Supporters of the fund claim that it will take care of every infant injured at birth regardless of whether there was negligence, and will eliminate the stress, delay, and uncertainty associated with a medical malpractice lawsuit. A closer look at the details of the proposed legislation, as well as the track records of similar reforms in other states, show the problems that this fund will create, and how it will serve only to shift responsibility for injuries from negligent hospitals and health care providers to taxpayers and families. The No-Fault Birth Injury Fund will not reduce litigation or the need for lawyers and is not guaranteed to lead to quicker compensation. The Birth Injury Fund will not immediately pay out claims for compensation by the families of injured infants, but will instead require, within 45 days of filing a claim, a fully documented development of all of the child’s claimed past, present and future damages. This type of claims development can be complex and onerous and can in many circumstances require consultation with expert physicians, life care planners, vocational rehabilitation specialists, and economists. One cannot expect ordinary citizens, grappling with the effects of a birth injury and are inexperienced with these kinds of claims, to put this kind of information together without the assistance of a lawyer, especially not in such a short time frame. Once a claim is submitted to the Fund, it can take up to three months or more for the Fund to review the claim before submitting it to an Administrative Law Judge, who will hold a contested hearing on whether the infant suffers a qualifying injury and what compensation is owed. This will inevitably become a lengthy, protracted process requiring the assistance of lawyers, no more efficient than the experience in the Circuit Courts to which families will be denied access. The No-Fault Birth Injury Fund may deny infants full compensation for their medical expenses, leaving taxpayers and insurance carriers holding the bag. Under current law, victims of medical negligence are not required to reduce their medical expense related damages when a portion of their medical is reimbursed by Medicaid, Medicare, or private insurance. Rather, victims of medical negligence who prevail at trial or obtain a settlement must account for potential liens asserted by Medicare, Medicaid, or private insurance, and engage in a process to negotiate what portion of the victim’s award must be paid back. This ensures that taxpayers and private insurance carriers are not on the hook for the expenses of a medical provider’s negligence. However, the No-Fault Birth Injury Fund would not pay compensation to reimburse expenses covered by Medicare, Medicaid, and private insurance, leaving taxpayers and insurance beneficiaries holding the bag, and potentially exposing victims of negligence to liens on whatever compensation they did receive. Additionally, the No-Fault Birth Injury Fund will only reimburse patients for “reasonable charges prevailing in the same community for similar treatment.” This means that if an infant for a birth injury were to require treatment on an emergency basis at a higher cost than usual, he or she could be denied reimbursement for the full amount. As for compensation for an injured infant’s lost wages, the Fund would not compensate infants until they reached 18, at which point the Fund would only reimburse “50% of the State average weekly wage,” which is less than what an individual with a permanent disability would earn under a Worker’s Compensation scheme. Other states that have attempted similar funds have faced issues funding the needs of the injured. One need only look at neighboring Virginia to see how the No-Fault Birth Injury Fund would fail those it is intended to help if enacted here in Maryland. In 1987, Virginia enacted its own Birth Injury Program, which has run into a series of problems. In 2003, the program was found to be “actuarially unsound,” meaning that funding levels would be unable to meet expected future expenditures. A recent report found that Virginia’s fund would be short in meeting its outstanding liabilities by $48.6 million. In 2018, Virginia’s program was charged by the U.S. Department of Justice with illegally transferring its payment obligations to Medicaid, leaving taxpayers on the hook. If you agree that the Maryland No-Fault Birth Injury Fund would be a disaster and think that infants injured at birth as a result of medical malpractice should be entitled to a trial by a jury of their peers, call your local State Senator and/or Delegate today! They can be located at www.mgaleg.maryland.gov/ by entering your zip code. This entry was posted on Thursday, March 28th, 2019 at 9:21 am. Both comments and pings are currently closed.